Prosecutors in North Dakota filed charges of negligent homicide last week against 20-year-old Abby E. Sletten due to her involvement in a car crash on May 27, 2014. According to police, Sletten crashed into the rear-end of another SUV that was attempting to make a U-turn. An 89-year-old great-grandmother named Phyllis Gordon was killed in the front seat passenger side of that vehicle. Detailed by the Minneapolis Star Tribune, Sletten failed to slow down prior to ramming into Gordon’s vehicle and struck the SUV traveling at a speed between 84 to 86 miles per hour. After investigating the scene, police surmised that the lack of skid marks on the road at the crash scene could be related to distracted driving. When investigators checked the activity on Sletten’s smartphone, they discovered that Sletten had been actively checking photos within the Facebook application at the time of the crash. In addition, Sletten was both sending and receiving text messages while driving after she left Fargo, North Dakota. After the crash, Sletten told investigators that she had no recollection of the events that led to the fatal accident. Without success, CPR was attempted on Phyllis Gordon at the time of the crash by several people at the crash scene. Gordon was accompanied in the SUV by her 34-year old granddaughter Jennifer Myers as well as her great-granddaughter. Both Myers and her daughter suffered injuries due to the crash, but were not seriously hurt. According to Gordon’s obituary, she is survived by eight grandchildren and seventeen great-grandchildren. According to North Dakota law, negligent homicide is a Class C felony. 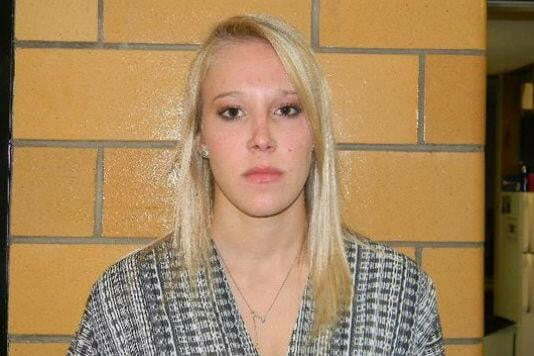 If convicted, Sletten could face up to five years in prison as well as a $5,000 fine. As of last week, Sletten’s bail was set at $5,000. During 2011, North Dakota enacted a law that prohibits texting while driving, but the penalty for that offense is just a $100 fine.